VoIP can give your business the flexibility to stay ahead of the curve. VoIP technology, or Voice over Internet Protocol, is a method of voice communication over the internet. 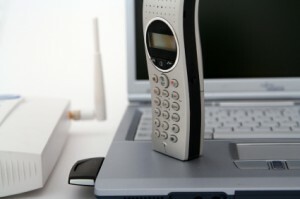 VoIP allows businesses to make telephone calls from a desktop computer equipped with a VoIP phone. There are a number of benefits that internet telephony offers businesses that are unparalleled by traditional phone line systems. 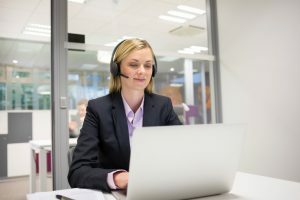 Read on to find out how your business can make the switch and take advantage of VoIP technology to enhance productivity. Voice over Internet Protocol (VoIP) can increase your business’s overall productivity and organization. VoIP allows employees to multitask with minimal interruption. With VoIP your business will also be able to save money on traditional phone bills and better allocate those resources to more important parts of the business. VoIP is also flexible and allows for users to attach documents, conduct virtual conferences, and share data faster. 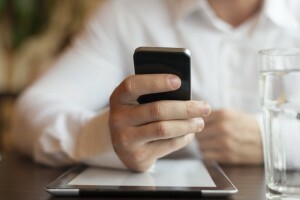 With VoIP you can take your phone system with you wherever you go. Earlier VoIP technology suffered from distorted phone calls and, laggy and dropped called. Modern VoIP technology has enhanced voice clarity that is indistinguishable from traditional telephones. VoIP has an easy installation process and mobile accessibility. Businesses with VoIP no longer require separate cabling for traditional telephone lines, and have reduced clutter and fire hazards from telephone cables. 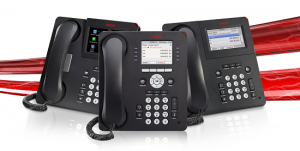 VoIP systems are also much easier to scale, maintain and manage. Voice traffic can add a significant load and burden to your existing network. In order to avoid delayed or dropped calls you will want to make sure your network can handle the added traffic with ease. When you decide to implement VoIP into your business you should consider all your options. Ask your network equipment vendor about tailoring a VoIP service that’s right for your business. This entry was posted on Thursday, June 23rd, 2016	at 5:03 pm	and is filed under Services Offered, The Industry	. You can follow any responses to this entry through the RSS 2.0	feed. You can leave a response, or trackback from your own site.